Info Loker Ejip Cikarang PT. 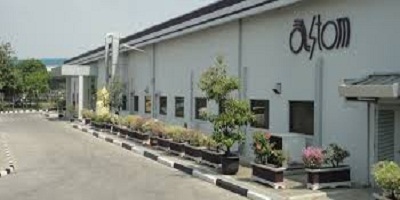 Astom Indonesia was established on 02 October 1995, located in the EJIP Industrial Park Plot 6C-2 Cikarang Selatan Bekasi. In February 1996, PT. Astom Indonesia began operations with its core business of stamping press for electronic and electrical components. Through major shareholders ASTOM CORPORATION JAPAN (90%) and PT. SPARTINDO Interbuana (10%), PT. Astom Indonesia continues to improve its human resources and adjustment of production technology to meet customer demands and make PT ASTOM Indonesia as the company No. 1 in Asia. In 2006 PT. Astom Indonesia through the support of technology and human resources of ASTOM CORPORATION JAPAN start a new business in the field of toolling and die manufacturing. The new business is expected to meet the needs of the PT. Astom Indonesia and support the needs of tools and dies major customers.